CHS -> Home -> MAST -> What Will Your Verse Be? You are leaving Chapin High School – saying goodbye. Make sure that in the joy of leaving that there is at least a moment of conscious goodbye. One of the hardest things about teaching seniors is saying goodbye to them. We look at you today and still remember the gawky, awkward freshmen you once were. Even this year all of you walked into our rooms in August a little different – younger, less confident, more stressed? – than the you who sits in front of us today. And we need just one more thing from you. 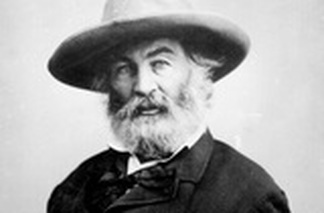 Read Whitman’s poem O Me! O Life! Write a page that explains your “identity” or how “you may contribute a verse.” Who is the “you” leaving CHS? What will be your contribution – your meaningful contribution – amid “eyes that vainly crave the light, of the objects mean, of the struggle ever renewed…”? How do you see yourself as a part in the “powerful play” of life? Think of this as your final statement, your final philosophy upon leaving this chapter of your life. Who are you now, who are we saying goodbye to, and how will you contribute later? One more time: Move our souls. Handout: What will your verse be?